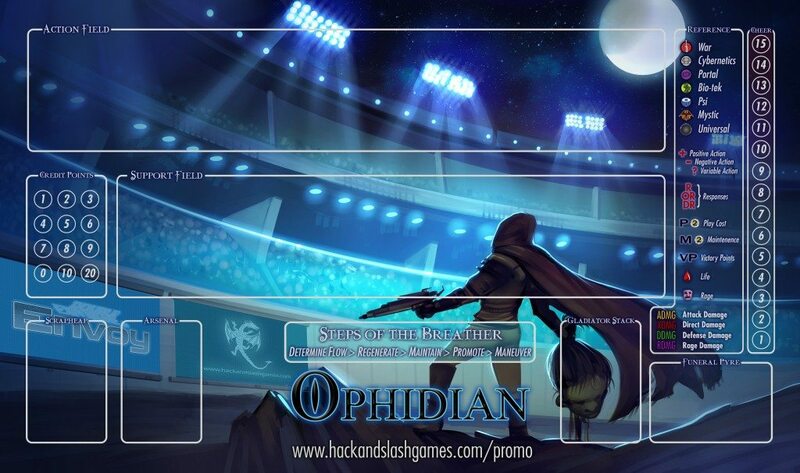 Ophidian 2350 Envoy Program and Custom Playmat Update! Double Exposure Inc. has an ENVOY program where they send out and coordinate “heralds” (gaming enthusiasts) to demo games at local comic and game stores as well as gaming groups all around the USA! In this video we are preparing “DEMO KITS” including CUSTOM-DESIGNED playmats made specifically for the ENVOY program. Expect to see the “Heralds” demoing Ophidian 2350/60 at a store near you starting in the next month! Be sure to check out our KICKSTARTER for Ophidian 2360: Survival of the Fittest! starting in mid-FEB 2016! Finally, don’t forget to join the conversation here!